15th Century Ireland. Art Óg Mac Murchadha Caomhánach (Art "The Younger" MacMurrough Kavanagh), leader of the native Irish Gaelic Caomhánach Clan, had pushed out the foreign Anglo-Norman settlers from a huge swath of land in what is now north Wexford and coastal Wicklow. The Clan was so formidible under the leadership of Art Óg that they threatened the Anglo-Irish towns of Wexford, Carlow and even Dublin. This land came under complete control of the Clann Caomhánach, and was commonly referred to as "Caomhánach country". 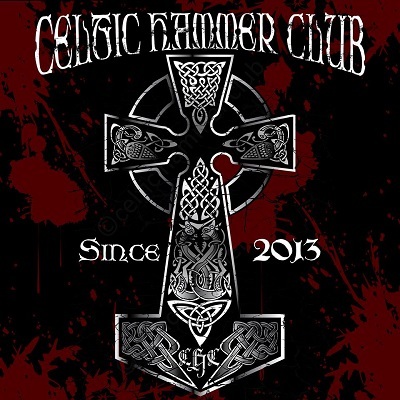 This was unusual, and a testament to the strength of the Clan at the time because The Caomhánach Clan managed to take control of a huge kingdom during a time when the native Irish Gaelic clans were being dominated by Norman invaders from England. Not only that, but the Caomhánach country actually butted right up against an English stronghold known as "The Pale". This is quite a feat when you consider that not only are you one of the only Native Irish Gaelic clans to still retain any land and power for yourselves, but that your land actually borders the English stronghold, and they can't do anything about it! It's not like the Caomhánach country was on the far side of the island, and able to retain its status by simply being out of reach of King Richard II and his Norman henchmen. No, the Caomhánach country was right in Richard II's back yard! Right in his face. 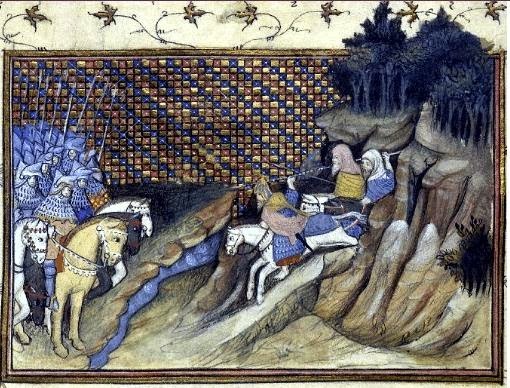 In fact, Richard II made two expeditions into Ireland during this time. One of which with the largest land force that Ireland has ever seen. All to try to bring the Caomhánach Clann into submission under English rule. It was to no avail. Art Art Mór ruled for 41 years! So what's all this "black rent" stuff I'm seeing on all three of these designs? Hold onto your pint glasses because there is, of course, a historical significance to it. The English King, Richard II, actually paid Clan Caomhánach a yearly tribute of 80 marks for protection. Protection of royal subjects as they passed through the Caomhánach country, and, also, protection of The Pale itself from other rival Gaelic Clans and raiders. This tribute became known as the "black rent", or "the MacMurrough Kavanagh's black penny." It is the only historically recorded instance of an English monarch paying tribute to an Irish noble or king. I love the story of Art Óg and the "black rent". Very dramatic. 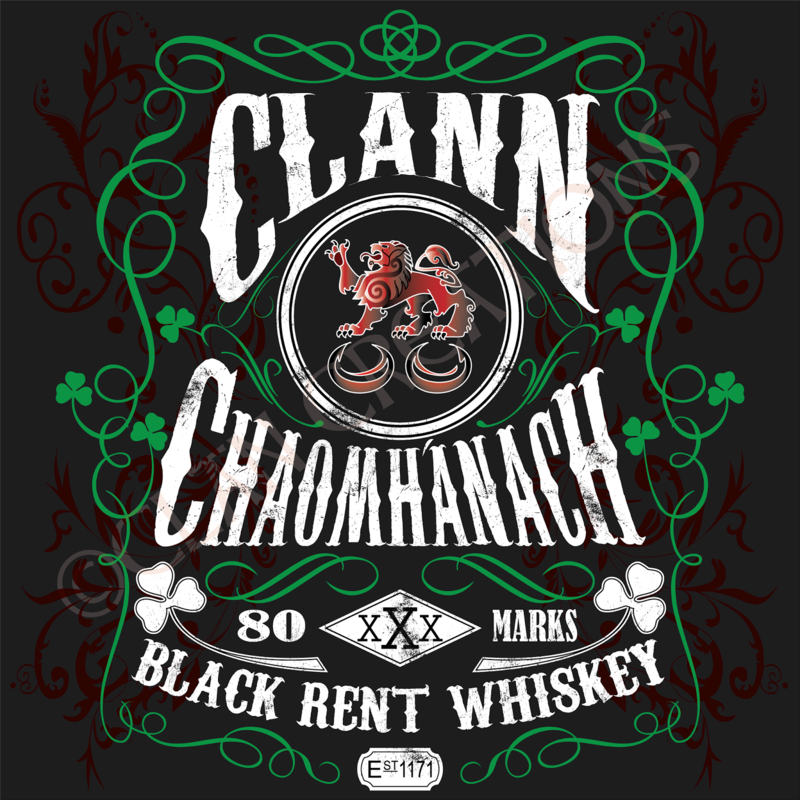 I've been wanting to incorporate the black rent into a design for a long time, and I came up with an idea that would allow me to use a reference to this little gem of Caomhánach family history. Vintage labels. I love them. Whiskey, beer, you name it. There is something timeless about them. 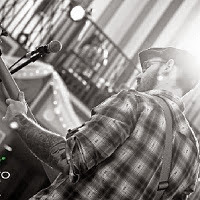 The style is as cool today as it was when they first became popular. 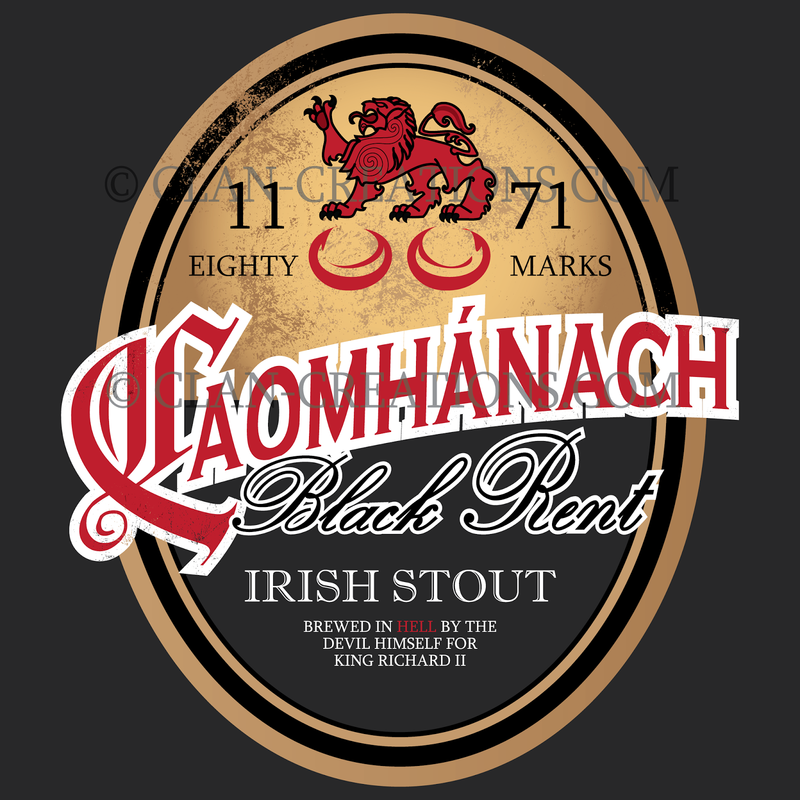 I thought, "How cool would it be to create designs that look like old-school labels, but tweak it to include Caomhánach stuff??" So that's what I did. I made three different designs. 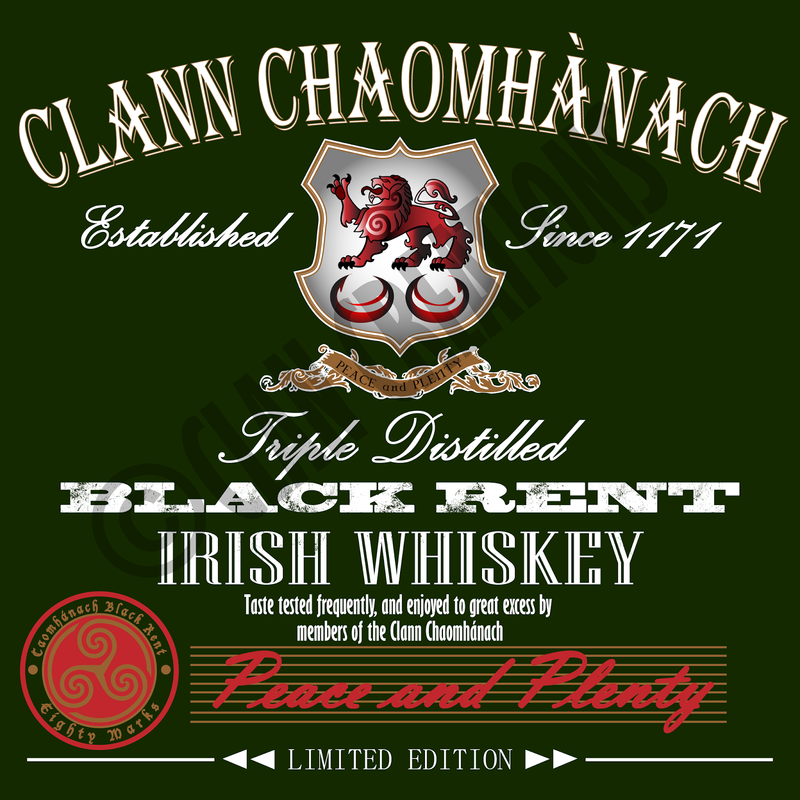 A bourbon label, an Irish whiskey label, and an Irish stout label. 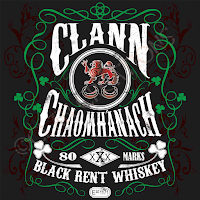 All of them use the Clan Arms as a center piece, and all of them reference the "black rent" and the 80 marks that the King of England paid the Caomhánach Clan every year for protection. It just seem to fit. "Black Rent" and "80 Marks" just fit perfectly into a vintage booze label. 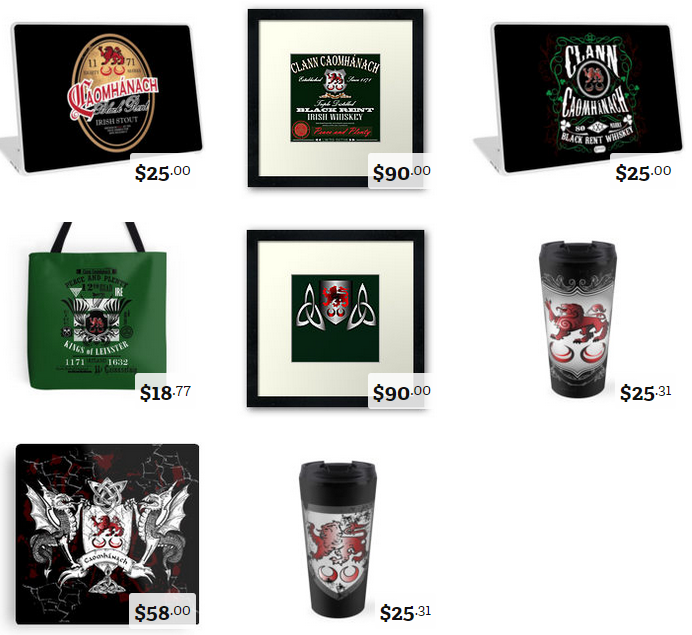 These are all original designs done entirely by me so you will not find anything even close to it anywhere else! There are many different color options available. Also there are styles for both men and women for each design, Hoodies, tanks, and more!!. 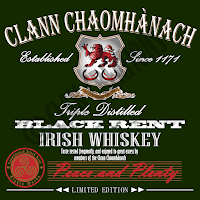 Check out the shop to purchase some original Clann Caomhánach Vintage label apparel!